Sitting on the couch, enjoying the air conditioning and sipping on a cold drink definitely hits the spot for many Oklahomans who have been battling the 100 F plus temperatures outside. However, cattle don’t enjoy those same luxuries. Reading a thermometer will tell us it is hot outside, but it will not give us the true story of what it feels like to cattle. The Cattle Comfort Advisor aims to do just that. 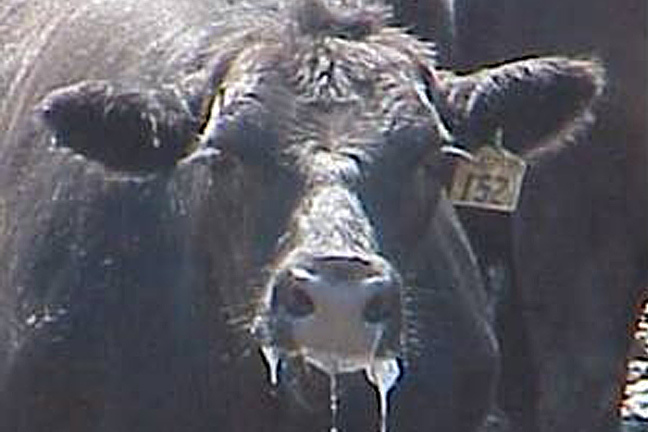 To help cattle through these hot times, it is critical to provide a good supply of water and reduce animal movement. Shade is extremely helpful, he said. It should be ahigh shade that covers enough area so animals do not bunch. Also, keep close tabs on cattle to see if emergency measures need to be taken, such as wetting the animals to the skin to increase cooling. The Cattle Comfort Advisor is scheduled to launch on the Mesonet website (http://www.mesonet.org) next week. The Oklahoma Mesonet consists of 120 automated stations designed to observe and measure the environment every five minutes, 24 hours a day, year-round.